What would an attorney advise for preventing identity theft? When writing a check to pay off your credit cards, never give the full account number. It makes it too easy for someone to take your info and use it online. Instead, use the last four digits of your account number. The credit card company can fill in the blanks. For an extra level of security, instead of signing the back of your credit cards, print “Photo ID Required”. Be cautious about what you print on your checks. Many people give their phone, address and some even print their social security number on their checks! This can lead to trouble. Use your work number instead of home and a P.O Box instead of your address when possible. Leave your SSN off entirely. Make backup copies of everything in your wallet. The easiest and fastest way is to use a scanner or photocopier. Get an image of both sides of every card you own. That way if your wallet is ever lost or stolen, you know exactly what was in it and can cancel things quickly. If you plan on doing any traveling, it is always a good idea to pack a photocopy of your passport as well. You are especially vulnerable to theft and fraud when you are abroad so a backup copy is the perfect safety net. 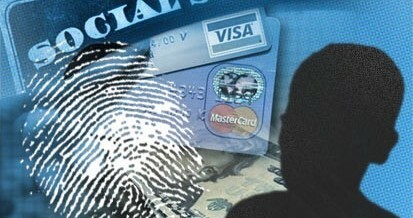 What should you do if your identity or wallet has already been stolen? Cancel all of your credit cards as soon as you find out about the theft. Use your photocopies from the tips above to reference the toll free numbers and your card numbers. Go to the jurisdiction where your cards were stolen and file a police report. It is the first step in an official investigation and it shows that you, as the card holders, are on the ball. Spread the word about these tips to your friends and family. Hopefully, they will never need to take the last three actions but if they do, this information could make a huge difference. If you have any questions, feel free to contact us!